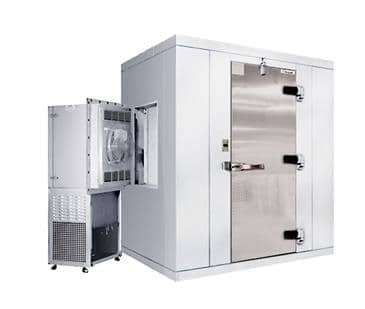 The Kolpak P6-066-CS Walk-In Cooler is a versatile and durable indoor/outdoor remote unit with a .100 smooth aluminum floor and a 26 gauge embossed galvalume interior and exterior. It uses a 1/2 horsepower side-mounted condenser and a 2.5" dial thermometer to keep the contents of your cooler chilled. This unit is 78 inches tall, 70 inches wide, and 70 inches deep. I am interested in purchasing cooler #P6-066-CS. What would be the additional cost for lift gate delivery to a residential address in Portland, OR?